Do you want to write with a group of people? Would you like to have others critique and give feedback on your writing? Are you interested in enrolling in a writer's workshop? Or do you want to collaborate with other writers on projects? 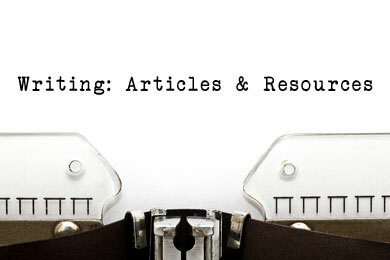 If so, these group-based writing resources may be just what you're looking for. Insights into the damage that can occur in writer's workshops, and why having a skilled facilitator is imperative to the critique process. A lot of energy has been expended worrying and wondering over the value of workshops and creative writing courses. Live in a small town? Need to find a sounding board for your writing? For writers and poets. "A quiet corner of the internet for writers to give and receive feedback on each other's work." Features articles, community discussions, and other writing resources. Where readers and writers discuss, discover, and write books. Features community weblogs, discussion forums, chats, and research. "A small, friendly and free critique group devoted to the purpose of helping writers to refine and polish their writing skills through group interaction and critiquing." Features critiquing tips, short story tips, and writing exercises.